Here we are one year later and chasing a morphed version of our dream. Buggles, the Baja; Wilber, the double canoe; Curious, our new home. After the difficulties we encountered while attempting to use Wilber to document expeditions, we eventually exhausted every avenue conceivable to accomplish our goal using Wilber as our vessel. Wilber is a lovely vessel suitable for other purposes, but not the right vessel to carry the equipment we need to conduct and document longer, self-sufficient expeditions. We were frustrated by this realization, but not discouraged from our end goal. There was no other option than to find or build a different Wharram model that would be suitable for what we want to do. While spending time in the Florida Keys in 2015 for that years Hui Wharram, which is a gathering of builders, sailors and admirers of the Wharram designs, we met wonderful people sharing that passion for the Wharram range of boats. Conversations about building techniques, sailing styles, levels of comfort in different boats were flowing constantly. Many revolved around questions of this or that with an exploratory character and some were based on very adamant points of view. The common thread was that no matter what, it was always interesting. 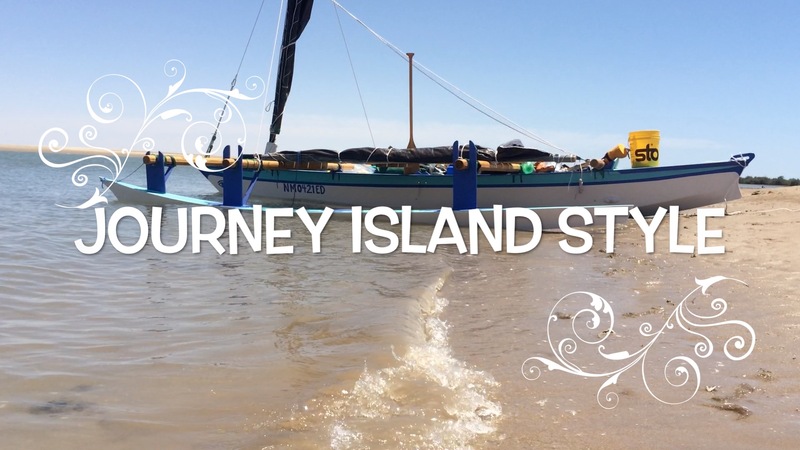 Casey and I described my passion for finding boats that have lost their way with regards to the dreams of their original owners and my desire to bring those boats back to the life they deserve; living and sailing along the paths less traveled. I had searched long and hard through the obvious internet channels for potential projects, but boats with lost souls, by their very nature, generally don’t get found that way, at least not by me. My newly found friend Brandon mentioned a Wharram ‘Tangaroa’ (35 foot) looking for a new owner was laying forlorn in a Texas yard and thought it might fit our desires to a ‘T’… and it did. We packed up in the Keys and drove all the way back across half the country to Houston to meet the owner and take a close look at it. I spent about five days crawling all over this boat, poking and prodding all manner of places trying to find all the secrets she may be hiding. This survey was to ensure that I felt I was up to the task of doing the work of breathing life back into this dream. Hopefully there won’t be too many things missed, although I’m sure there will be some. Near as we can tell the tale of this particular Tangaroa begins about 50 years ago in Connecticut, maybe in the late 60’s, early 70’s. She has never been officially named and her keels have never felt the kiss of the tides she was designed to live upon. Through the four owners prior to us she has traveled from the northeast to the mid west coastal Texas and ended up in a small place between Houston and Galveston called Bacliff. Curious as we found her in Bacliff, Texas. Her varied owners have lost her presence in their lives through death, deceit or the realization of more relevant dreams. Now she is in our lives and we’re calling her ‘Curious’. Our intention is to bring her back to life, bring her back to her purpose of floating the dreams of those aboard her decks… chasing sun bleached beaches, … that remote island paradise … and exploring the elusive horizon. Now before we can get Curious on the water for the first time in it’s extended life, I have repairs, rebuilds and new creations to complete. From sitting and waiting for near 50 years there is some rot to deal with. (The bacteria that causes rot in timber thrives in freshwater and rain is the only water to have ever wet this boat.) Modifications have been done departing from the original design specs and we’ll endeavor to return her closer to those specifications. Obviously not everything will be exactly to plan, I don’t think I have ever been able to maintain a straight, pre-planned course in my life, however I’ll do my best,…ish. Our life seems to be a creative work in progress; we have ideas in mind that we are working toward, but we hold them loosely to allow flexibility for dealing with hiccups as they emerge… and they always do. On the Blog page I’ll be posting more of these ideas as I think on them. As time passes I’ll put together various posts to fill in some key moments in our world, from looking at Curious for the first time in Texas 2015 and now one year later, finally getting to work on her. So, again, please come along as we build and pursue this new dream, it should be a bunch of fun. Want to follow my blogposts via Wordpress? Enter your email address to follow this blog via Wordpress and receive notifications of new posts by email.